Who says you can’t get anything at Disney for free? Disney is a great place to celebrate any occasion and make magical memories! If you are in the parks and want everyone to know what you’re celebrating – stop by a Vacation Planning Booth, or Guest Services to pick up your celebration button! The best part is – they are absolutely FREE! If you are staying at a Disney resort – just ask for a button when you check in. You may receive special treatment or surprises if you wear it proudly throughout the day. Buttons may vary – but right now they have different ones for your birthday, anniversary, family reunion, happily ever after and more! For lots more Disney World “Secrets” click here! 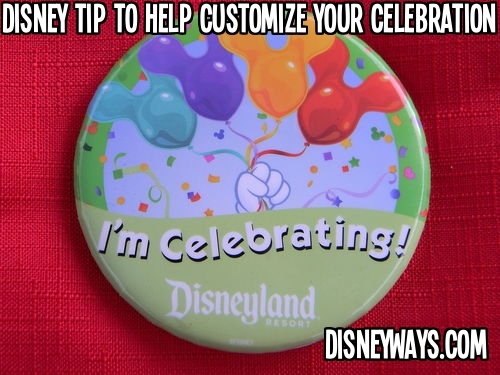 Have you ever worn a celebration button at Disney? What were some fun things that happened on your special day?